That other battle royale game – which like an undead hipster, was doing battle royale before it was cool – H1Z1, is getting a deep discount and free week starting today. For games that still focus on the shambling undead, check out the best zombie games on PC. You can load the client up on Steam right now with a 9.7GB download, and enjoy everything the game has to offer until December 21 at 10:00 PST / 13:00 EST / 18:00 GMT. That means full access to solos, duos, fives, the newly-minted Combat Zone, and more, either on your own or with friends. If you like what you see, the game is also enjoying a steep discount until January 4, priced at just $4.99 / £3.74 / €4.99. 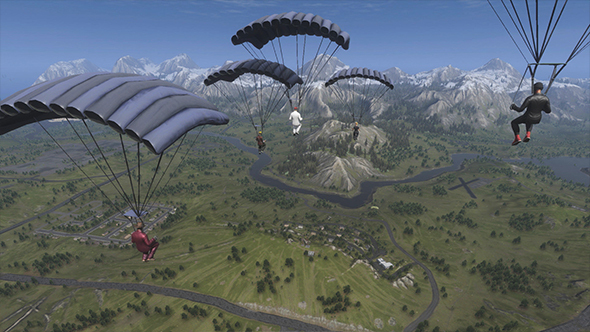 H1Z1 – formerly known by a King of the Kill subtitle – served as the launching pad for PlayerUnknown to get out of modding circles and into pro game development. I’d say the rest is history, but giving the continued growth of battle royale games it might be more accurate to say it’s the future.